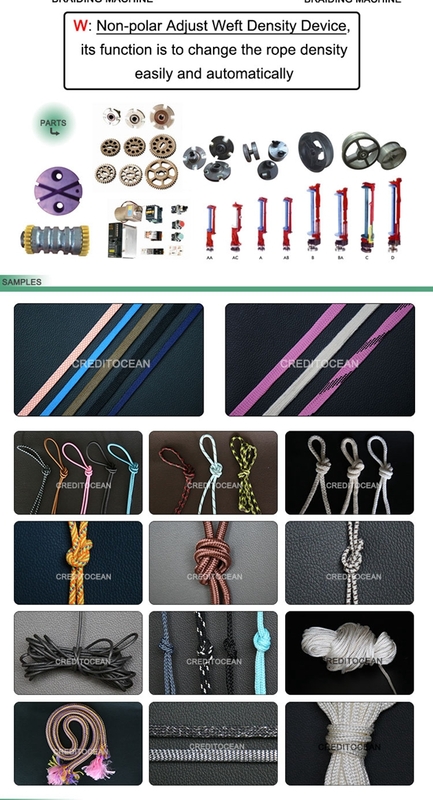 Be applicable to produce rope,shoelaces,elastic tape,cummerbund,pull tapeand so on. 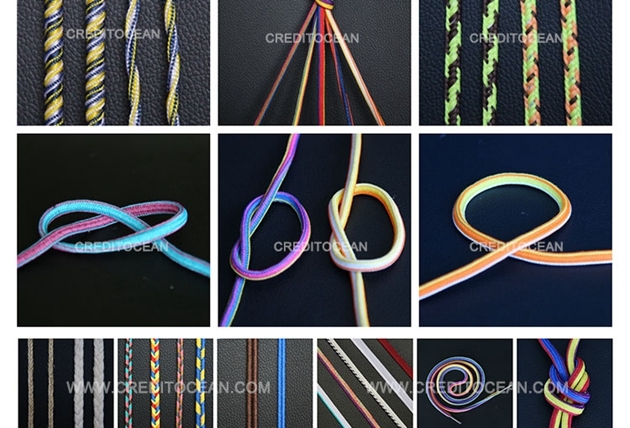 Except the round cord type, we also have flat, specific cord types, which can meet the demands of different types of cords. Contact us! We will give you feedback within 24 hours. 1) The Machine is High speed and still noiseless. 2) Space saving, because of compact design. 3) The yarn packages, generally available in cone form, can directly mounted on creel and fed to the machine. 4) Stop motion fitted for detecting the yarn. 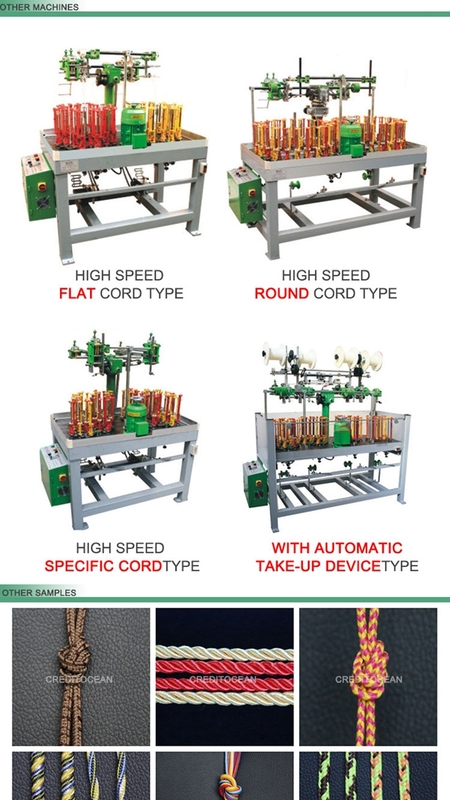 5) Density of produced cord is adjustable by change pitch gears system. 6)make different size of products by changing the pitch gears. 7)adopting frequency control motor which is easy to control the speed. 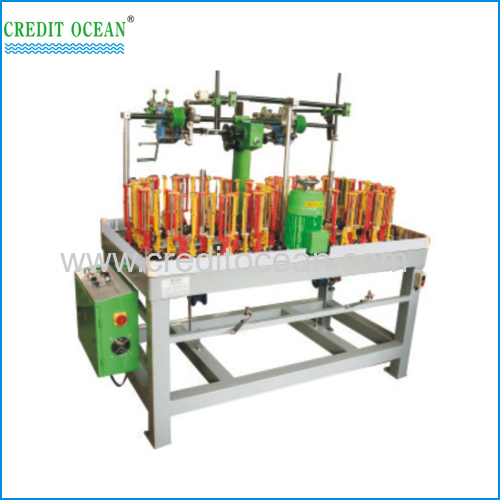 8)auto stop system has a sensitive reaction, when the yarn is over or breaks, the machine will stop automatically, which reduce the waste of the yarn. So when there is nobody works near the machine, it is also safe. 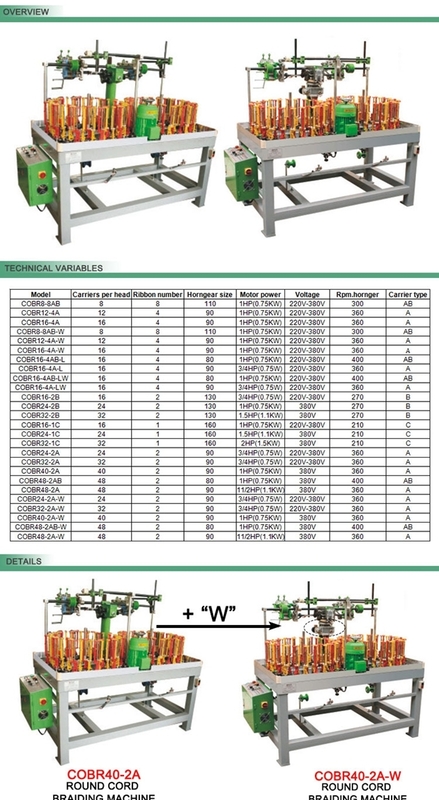 This device lower the labor cost and increase the production.